This page provides links to my trip reports in Utah, which so far have involved a brief climbing trip to Lone Peak Cirque, a week climbing in Zion, four days summiting desert towers near Moab, and a weekend in Indian Creek. I also have a non-climbing trip report for a 2-week photography/exploration road-trip through the amazing landscape and National Parks of Utah. Indian Creek is hands down the awesomest place for crack climbing I've been to, so I will be back for sure. 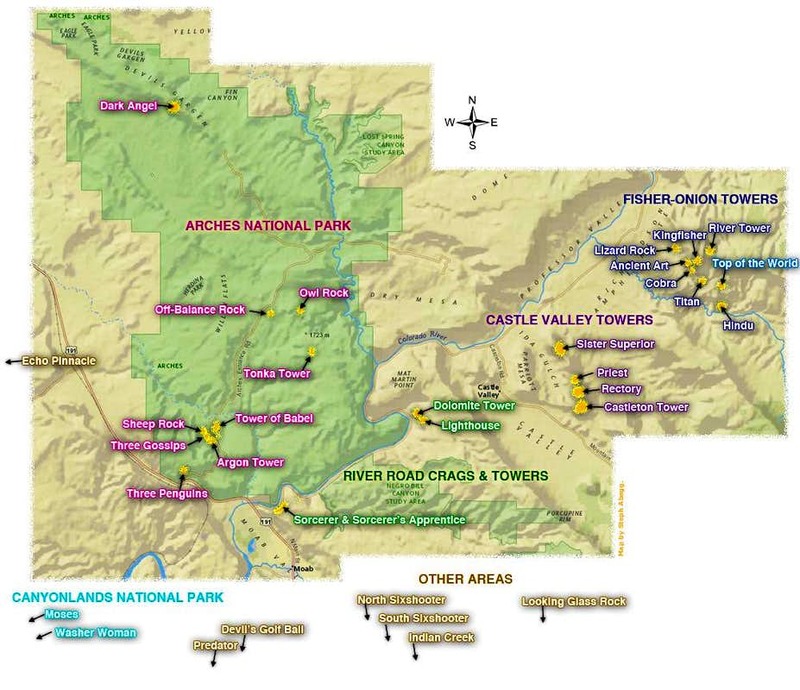 You must have your browser window at least 730 pixels wide to display the entire map. • A Weekend in the Creek (1st time climbing at the Creek). 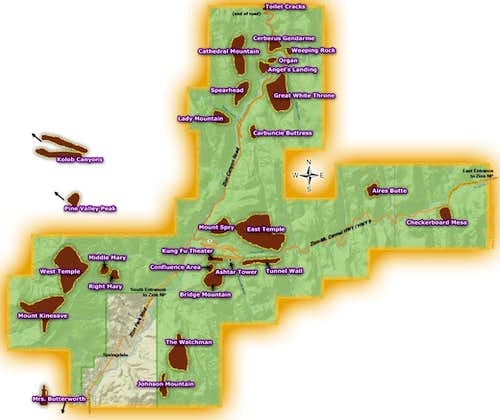 Map of climbing areas in Moab area I created for summitpost. Map of Zion free climbing areas I created for summitpost.